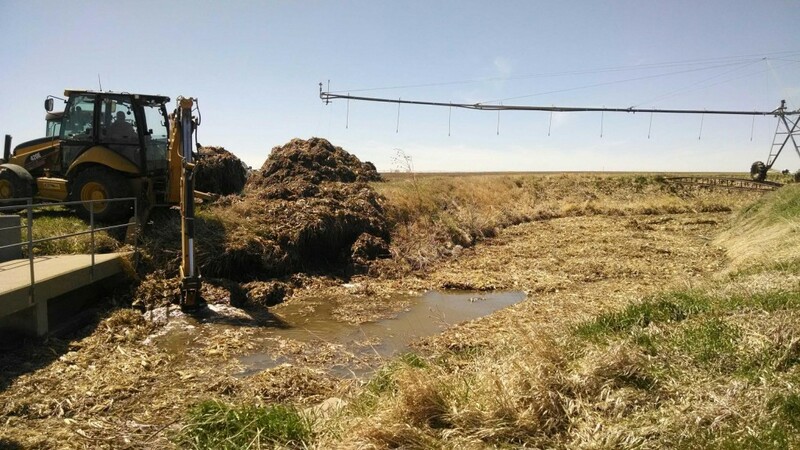 Along with the arrival of spring time is the glorious windy storm season. 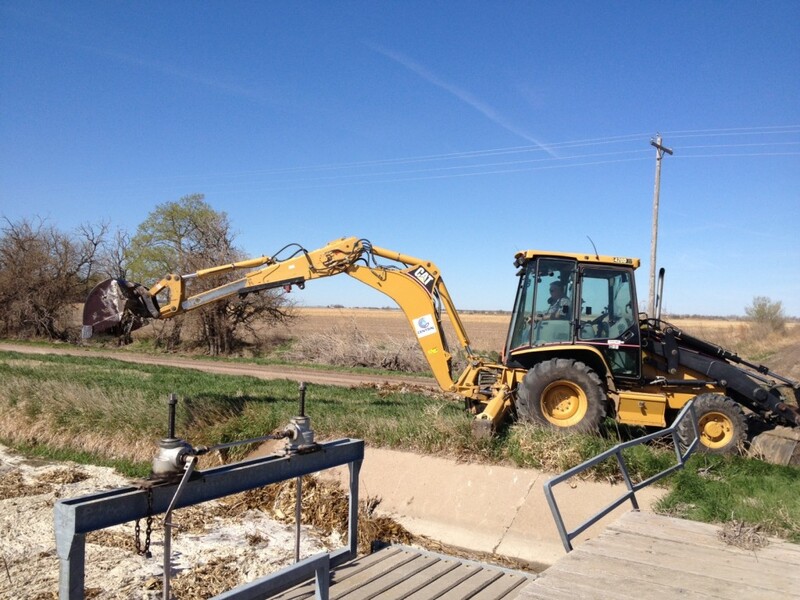 Central employees have been working hard to prepare canals for watering in preparation of irrigation season. 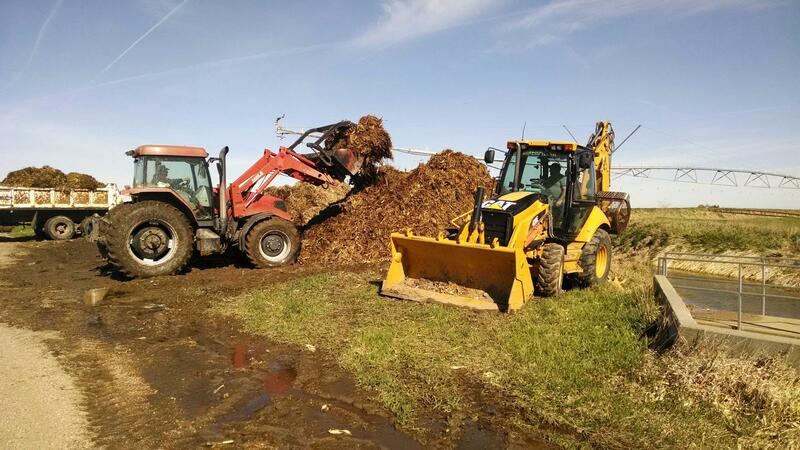 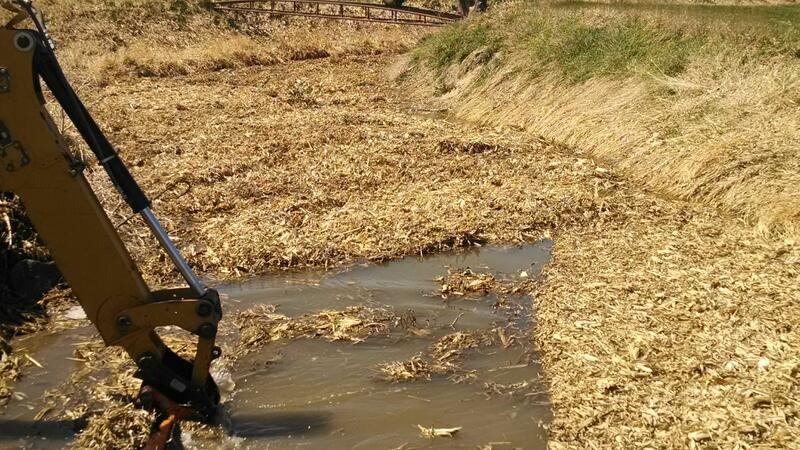 This photo shows an employee scooping corn husks out of the canal bed.